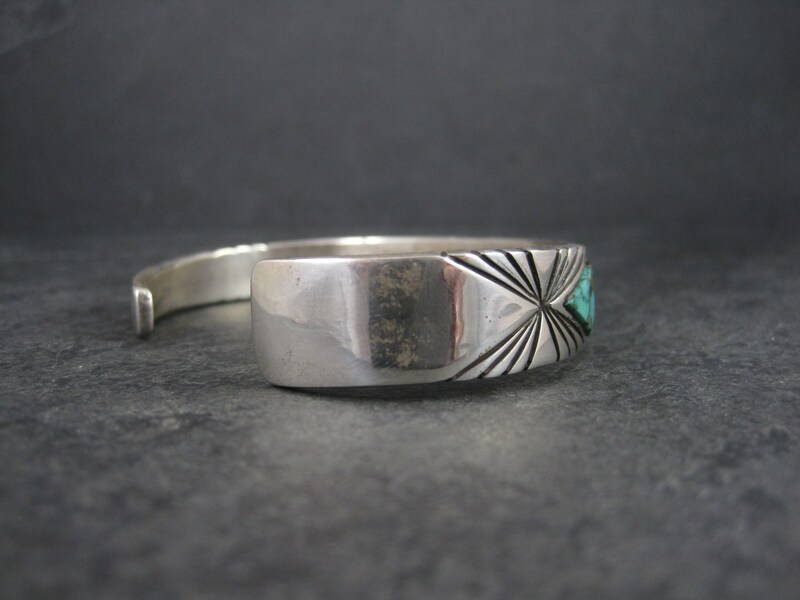 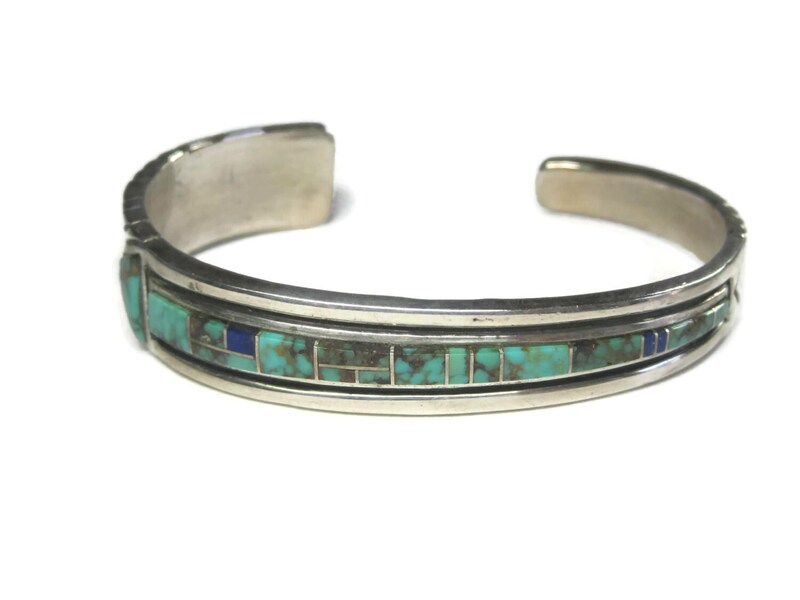 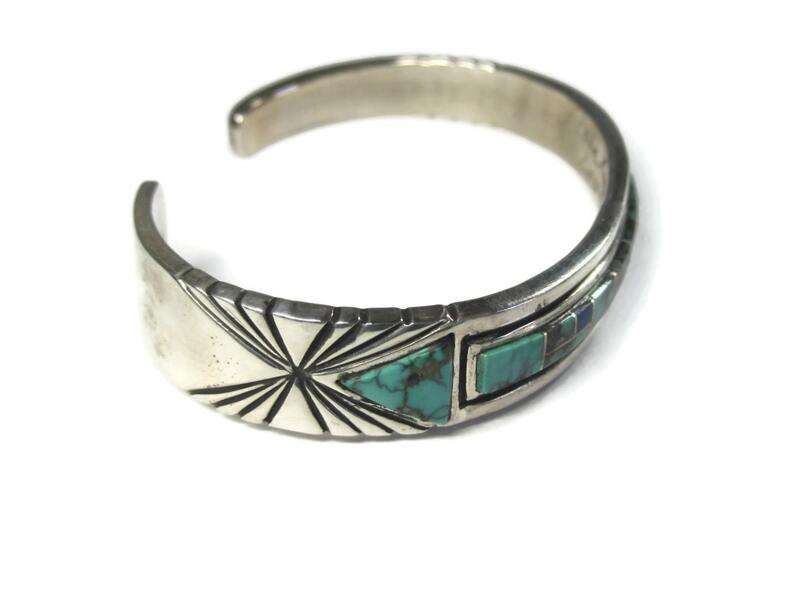 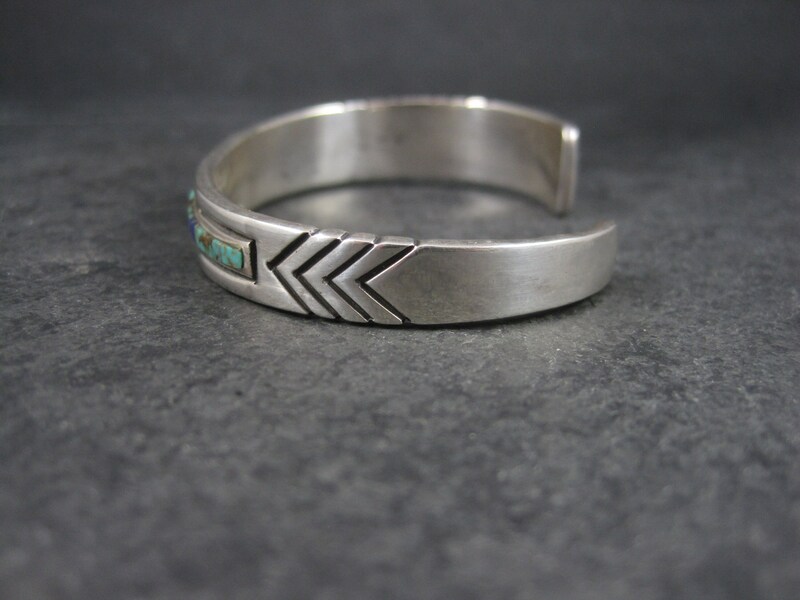 This gorgeous sterling silver cuff bracelet is the creation of Navajo silversmith Rose Ann Long. 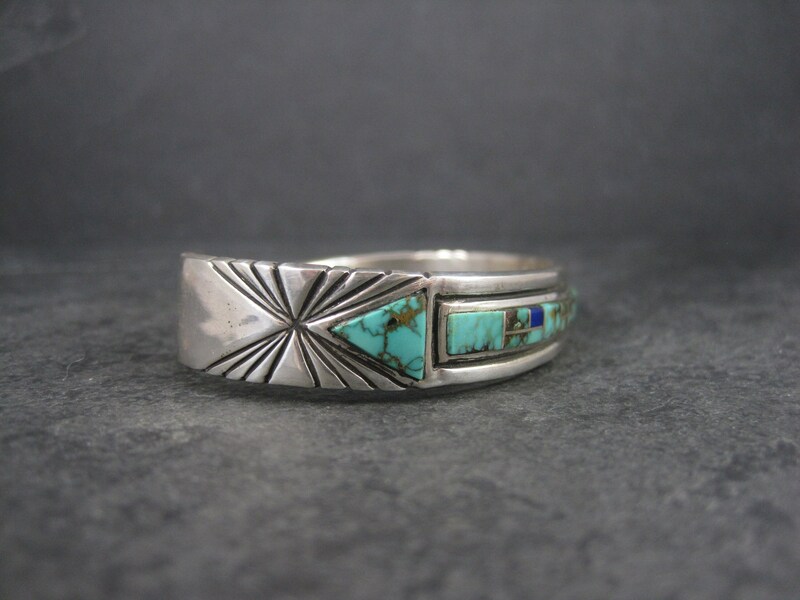 Rose Ann is famous for her beautiful inlay work. 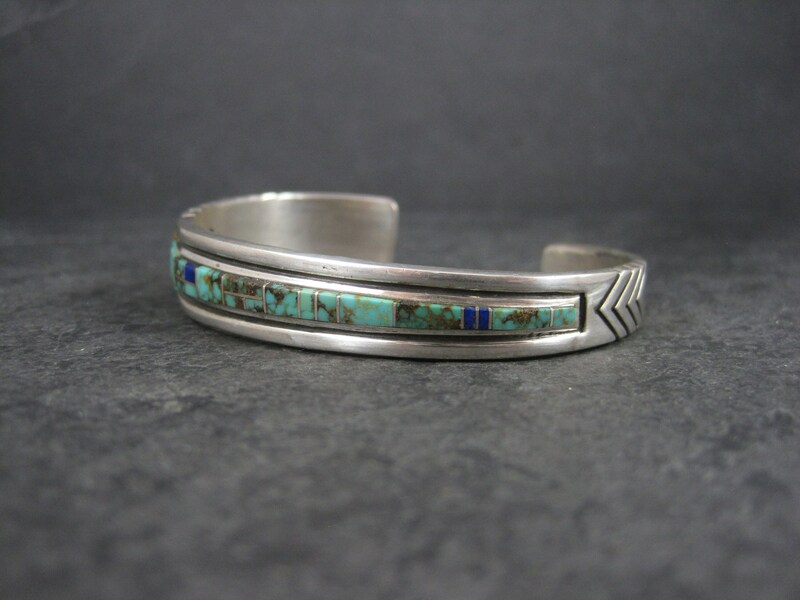 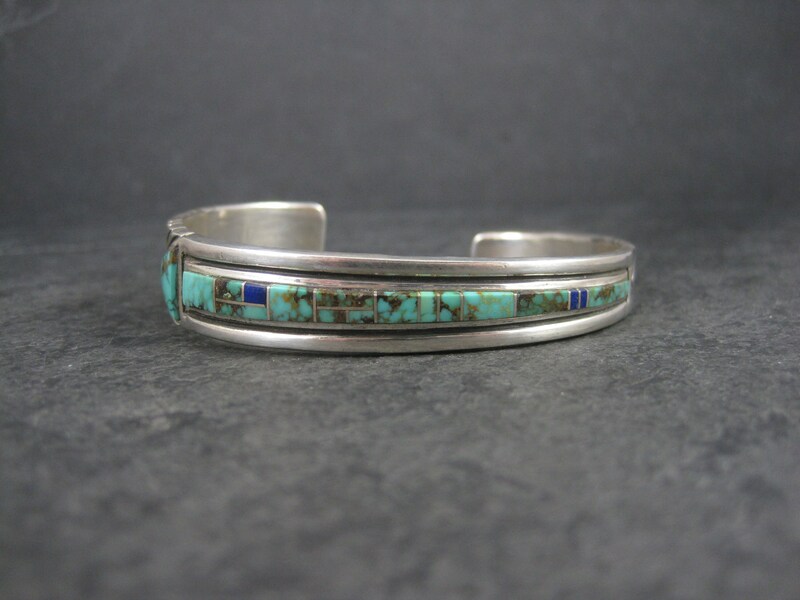 This bracelet features inlay in natural turquoise and lapis lazuli. 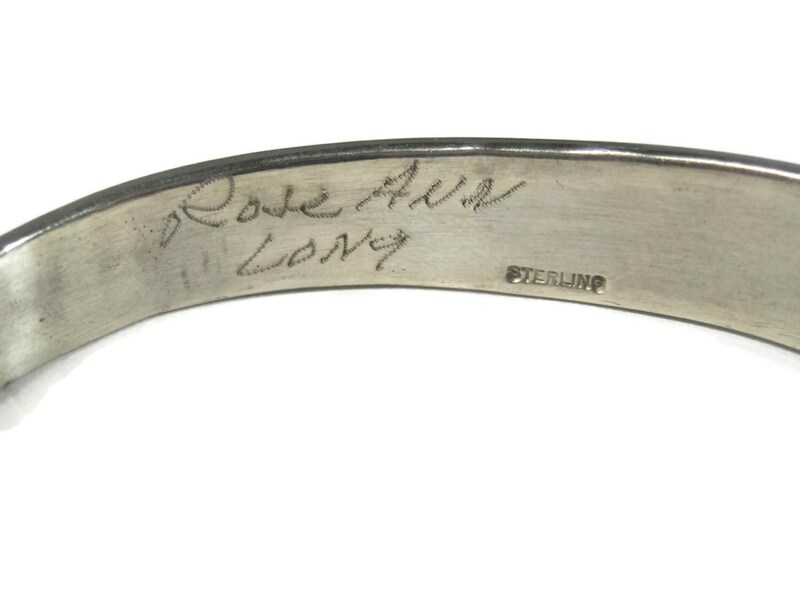 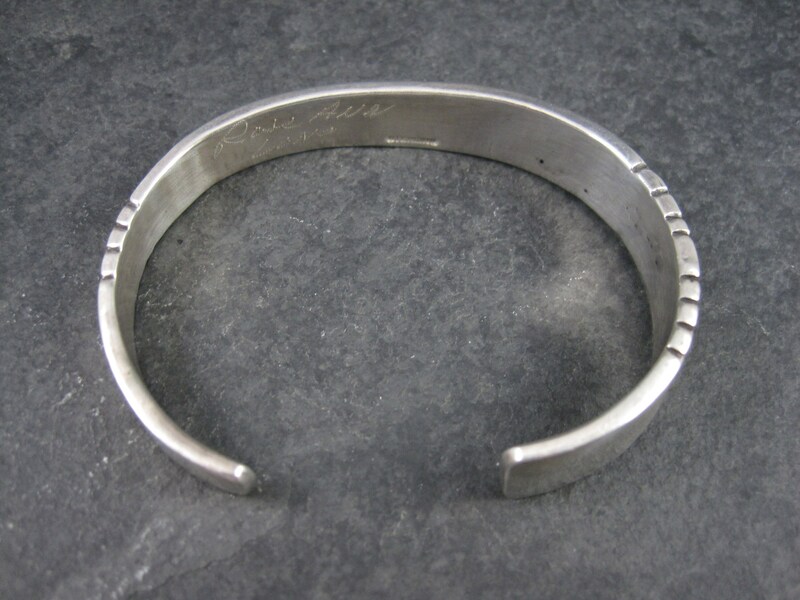 This bracelet has a tapered design and measures from 1/2 to 1/4 of an inch wide. 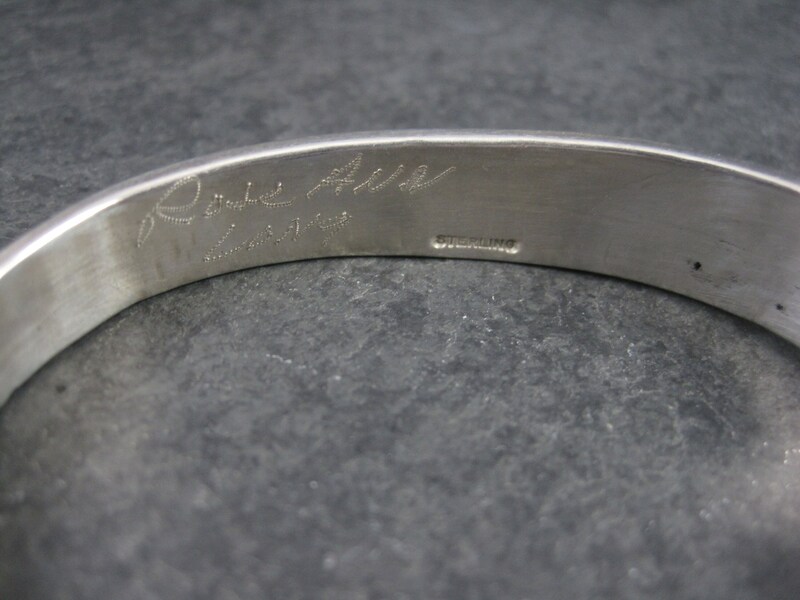 It has a circumference of 6.5 inches, including the 1 inch gap.